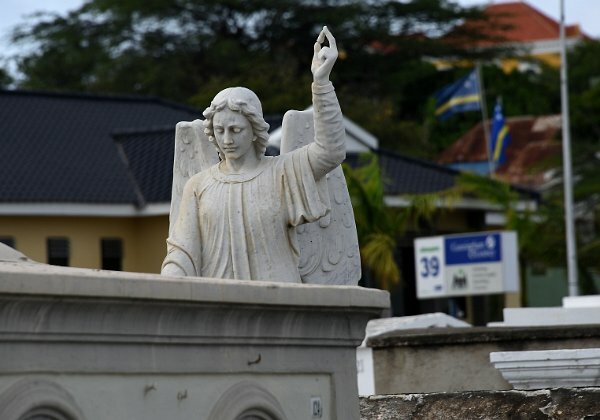 This medium-sized cemetery is located at the intersection of Oranjestraat and Berg Altena in Willemstad. The gate on the Oranjestraat side was locked, but the gate on Berg Altena was unlocked and appeared to have not been locked recently. A return vist is planned for supplemental photography and drone photos. Photographed July 2, 2016. Copyright (c) 2019 J.A. Maass.